When you think of vibrant electronic music scenes, Montenegro isn’t often the first place that springs to mind. But the subculture has at one point or another incorporated warehouse raves, open air all-nighters near the Cijevna River waterfalls, packed nightclubs and illegal parties in the outskirts of Podgorica, the capital city and location of the next Electronic Beats Festival. In fact, the country has a surprisingly rich legacy of producers, DJs and tight-knit collectives like Beat At Joe’s and the fresh-faced Techno Klinika. Here are 10 DJs and producers who hail from Montenegro and have in some way contributed to the local vibe, whether they’ve taken their talents abroad or continued to build the scene on their home turf. Stanovnik is one of the veterans and icons of the Montenegrin DJ scene. He was born in late 1969, when Podgorica was called Titograd, and in 1991 he left the country to rise to the challenges of London nightlife. He came back to his war-torn fatherland in 1995 to jump-start its house scene, which is why he is widely considered the founder of Montenegrin house music. These days he dabbles in other electronic subgenres. Podgorican native Aleksandar Gilić (AKA DJ Gilerz) is another proud veteran of the Montenegrin DJ scene. During the ’90s he was a member of the local punk band Kojoti and hosted the Deep Massage radio show on Radio Free Montenegro. Along with his colleagues from stalwart local collective Beat at Joe’s, he performed at Three Friday Parties, a now-defunct annual electronic music festival in Podgorica. He was also part of most (if not all) of the main electronic festivals and events in Montenegro, including this year’s Electronic Beats Festival. Aleksandar Cuca, whose artist alter ego is Cule (pronounced “Tsule”), was born in Budva, Montenegro, but he has resided in the capital, Podgorica, since 2003. He never limits himself to one specific kind of music, but deep house is his bread and butter. Like Gilerz, he contributed to the Beat At Joe’s party series. Dalibor Sevaljevic is arguably Montenegro’s best drum ‘n’ bass DJ. He was born in Kotor, Montenegro, but lives in the nearby town of Tivat, and in the early ‘90s he was contaminated by the breakbeat and drum ‘n’ bass bugs. In 2000 he donned the moniker Chevalier and released his first mix. Since then he has performed in Montenegro’s most prominent clubs, as well as festivals like Sea Dance in Budva, Montenegro. This undeniable talent from Boka Bay (which outsiders might know as the Bay of Kotor) has a fluid drum ‘n’ bass sound that inspired the name of the organization he founded: Fluid Drum. 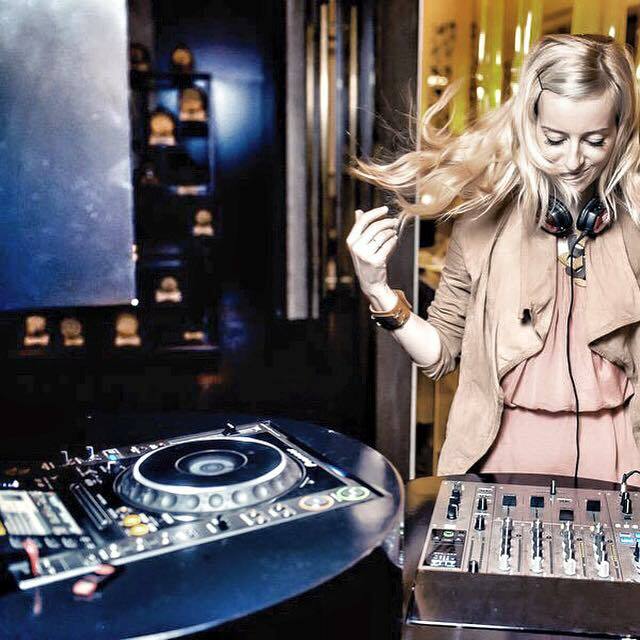 Unless you live in Dubai or know Ilona Maras personally, you probably don’t know of her work as a producer and DJ. The Montenegrin/Russian became a staple in Dubai’s electronic music scene after she moved there in 2008; she was a resident at the Cafe Del Mar nightclub there and compiled two mixed CDs for Pacha representing local talent in the city. Relja Cupic (AKA Rex Regis) is a young DJ and producer from Podgorica who currently resides in Belgrade. He found his place behind the decks while still in high school, and then earned a degree in Audio-Visual Production. Although he started with hip-hop, his tastes have expanded to include reggae, dancehall, dubstep and house, and he used to showcase his tastes as a former member of the Podgorican radio show Reggaeneracija. Nowadays he contributes to the Mystic Stylez crew and frequently collaborates with London label Crystal Culture. AudioStorm was born when Ognjen Osha Vukovic was touched by music as a child. His work in tech and minimal house is imbued with psychedelic textures and swirling ambiance, which brings a nice touch to progessive palettes. Milo Kekic began to throw parties in his hometown, Ulcinj, Montenegro, when he was 15. Shortly thereafter, he made his first steps to house music and he started producing. His hard work paid off, and he eventually got his first release with Nulogic Records, which paved the way for more. Grum represents the new wave of Montenegrin DJs/producers. He and his colleagues from Techno Klinika helped to create Podgorica’s illegal underground party scene. During times of electronic drought, local youth found refuge on the outskirts of town, where no one would interfere with their nightlife. He was also involved in some radio shows like the Montenegrin DJ Association and DJ Hour and explores dark techno as Redial. Raven TK started DJing at private events and illegal parties in 2010, the same year he combined efforts with Gav and Aleksander Grum to establish Techno Klinika. Raven went on to perform at some of the best festivals in the region, like Refresh, Exit, Sea Dance. His music revolves around the deeper side of progressive techno and contains a lot of energy and melody.